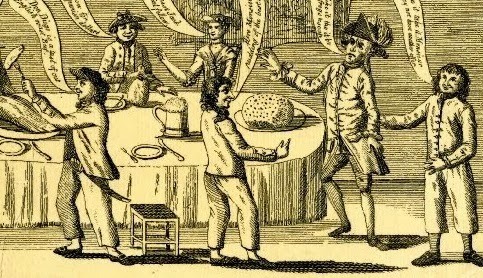 "Generous Jack Tars," artist unknown, 1780, British Museum. 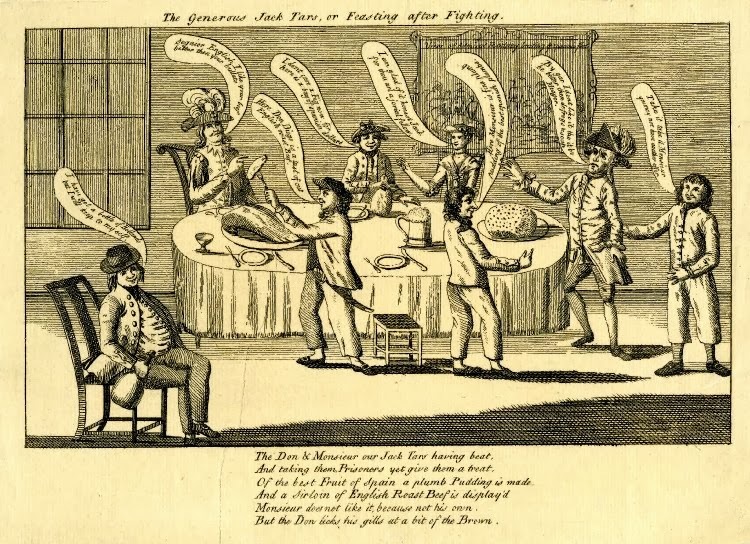 Circling a table with a massive plate of English roast beef, sailors indulge while humorously prodding the Frechman, Spaniard, and Dutchman they've captured. In this political cartoon, Britain is not personified in a single sailor, but a whole mess! The tars all wear white trousers of varying lengths, and those at the fore of the table have single breasted jackets without vents or waist pockets, and with slash cuffs and flaps. One of them wears a round hat and carries a cutlass. They all wear black neckcloths.